The genus Mimetes is one of the most beautiful of the protea family and indeed in the whole of the Cape Floral Kingdom. Mimetes chrysanthus is unlike all the other Mimetes on account of the unique structure and number of its flowers. In all Mimetes the flower groups (capitula) are arranged in the axils of leaves near the ends of the branches, like a bottlebrush. Mimetes chrysanthus typically has many more flowers (25 - 35 flowers) in each flower group (capitulum) than any of the other species. Its closest rival, Mimetes saxatilis, has 14 - 22 flowers in each capitulum whereas all other Mimetes only have from 4 - 14 flowers in each capitulum. In nature it forms a sturdy, erect, sparsely branched shrub on a single trunk and grows to between 1,5 - 2 m tall. The leaves are medium sized, pale to olive-green and closely associated with the branches and upper stems. The lower trunk and branches are often bare. 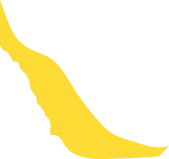 The flower groups are luminous golden-yellow in colour giving rise to its name chrysanthus meaning golden flower (from the Greek chrysos meaning gold and anthos a flower). The main flowering season extends from March to May or June, but intermittent flowering takes place throughout the year. The brilliant yellow flowers emit a faint sweet scent. Fruits take approximately 8 months to reach maturity and are shed in December. 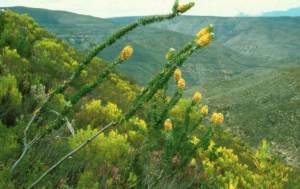 Mimetes chrysanthus is classified as Rare in the Red Data List of southern African plants. This means that, although it has a small population, it is not considered to be Endangered or Vulnerable but is at risk as some unexpected threat could cause a critical decline. Mimetes chrysanthus is relatively safe in its natural habitat, protected by the rugged inaccessibility of the terrain in which it grows. Populations situated within the Gamka Mountain Reserve are more secure as they fall under the control and management of the Nature Conservation authorities. The main treat to this species is from too frequent fire. Fire is known to benefit fynbos by clearing away old vegetation and helping to stimulate seed germination. If however, natural vegetation is burnt too often allowing shorter periods for recovery, woody species such as Mimetes chrysanthus will die out because they will not have time to produce enough seed. Plants from both localities are being grown at Kirstenbosch National Botanical Garden. They are grown for both display and as stock plants. Plants will be distributed to other Botanic Gardens for their collections. Some plants have been sent for planting at the Karoo Desert National Botanical Garden near Worcester in the Western Cape. Seed will be collected from plants grown at Kirstenbosch and put into long storage in the Millenium Seed Bank at Wakehurst Place in England. This seed will remain the property of the National Botanical Institute and is kept as an insurance against possible extinction. Plants have also been grown and made available for sale at the Annual Plant Fair. 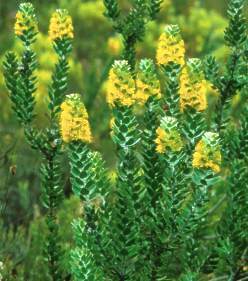 A specialist wholesale grower of fynbos is also growing this species for sale. Mimetes chrysanthus was originally thought to be restricted to a few scattered populations in the Gamka Mountain Nature Reserve. A second population has since been discovered 50km to the east on a mountain ridge situated inland of the main Outeniqua range. 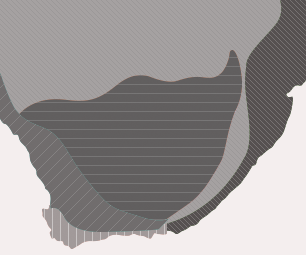 Extensive exploration by Protea Atlas members has not extended the distribution beyond these two localities. The Gamka Mountain is a southeasterly extension of the Rooiberg and effectively one of the mountains that form fynbos islands in the little Karoo between the Langeberg and Great Swartberg. The plants grow in full sunlight on moderately steep southeast facing slopes at an altitude range of 800 -1040m. They grow in nutrient poor, well-drained, rocky soils derived from Table Mountain sandstone and receive an annual rainfall of between 400 and 450mm. R. A. Salisbury established the genus using the Greek word mimetes meaning 'to imitate'. This is probably a reference to the foliage, which is similar in shape, size and arrangement to other genera such as Leucospermum, the pincushions. Many of the species are so splendid and rare that they became the subjects of a special collector's edition on Mimetes with descriptions and plates of superb paintings by Thalia Lincoln. The irony of this is that no sooner had Dr. John Rourke completed his taxonomic account and published the collector's edition of this high profile genus than a splendid new species was discovered. 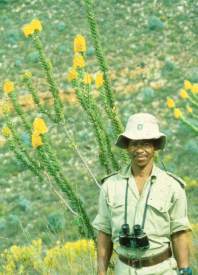 Mimetes chrysanthus was first seen by Mr Willie Julies, a game guard at the Gamka Mountain Reserve, while on patrol in the reserve in September 1987. His keen interest and meticulous observation and recording of plants and events in the wilderness led to the discovery of this most unusual new Mimetes. 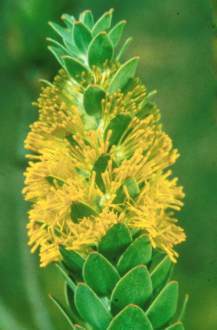 He reported that he had seen an unusual woody shrub with spectacular yellow flowers to the Reserve Manager, Mr. Rory Allardice. Rory pressed a flowering specimen and sent it to 'fynbos expert' Mr. Jan Vlok of the Saasveld Herbarium at George. Jan immediately recognised it to be a new species and sent it on to Dr John Rourke of the Compton Herbarium. John Rourke and John Winter, the Curator of Kirstenbosch, visited the reserve in April 1988 and collected specimens for the herbarium and for cultivation in the gardens. John Rourke confirmed that this was indeed a new species and also that it was considerably different from all other Mimetes. This obviously caused much excitement and interest in many quarters. Indigenous ants collect the seeds and store them underground in their nests. They remain there until after fire has cleared the vegetation and then germinate. John Rourke noted orange-breasted sunbirds and carpenter bees foraging in the flower heads and yet the flowers yield too little nectar to make collecting it worth while. On the other hand copious quantities of pollen are produced and this appears to be the main attraction. John Rourke suggests that bees might be the main pollinators of this species. The leaves of plants at the second locality behind the Outeniqua Mountains were quite badly damaged by snout beetle activity. A number of these beetles were found eating leaves during the middle of the day (personal observation). Cutting material of Mimetes chrysanthus was collected in April 1988 and easily rooted by the Kirstenbosch plant propagator Margaret Thomas. Fresh hardened off tip or heel cuttings root best. The cuttings were rooted in a medium consisting of equal parts milled pine bark and polystyrene balls for drainage and aeration. Rooting is improved and accelerated by application of a rooting hormone to the cut stem and placing the cuttings onto heated benches with overhead mist spray. Rooted cuttings are allowed to harden-off away from the mist benches before being planted into a fynbos potting mixture consisting of equal quantities of composted bark and riversand and 20% loam. Mimetes chrysanthus produces plenty of seed, but thus far has proved difficult to germinate. Mimetes chrysanthus grows in dry fynbos with low rainfall it has adapted relatively well to growing at Kirstenbosch with its much wetter climate. Plants placed on warm sunny slopes or embankments with good drainage grow very well with little or no supplementary irrigation. Plants also thrive in heavier clay soils as long as good drainage is provided. It appears to be a little more adaptable and resilient than most its compatriots. We have found that when planted in the garden they have not performed as well and have often died. We think this is due to the extra water applied through our irrigation system and susceptibility to the root fungus phytophthora. We therefore recommend reducing watering to once a week in summer. Another strategy could be to graft them onto a more resilient rootstock to overcome the phytophthora problem. Cultivated plants flower from February to the beginning of June. The plants may be pruned after flowering if collection of seed is not required. Cut back the flowering branches quite hard to about 15cm above the lowest leaves. This will stimulate vigorous sprouting of new shoots and result in a well branched rounded shrub and increased flower production in the next season. Young plants sometimes show dieback or browning on the leaf tips. This problem should be treated with a fungicide (e.g. Dithane M45 a.i. mancozeb) suitable for treating leaf infections and reducing watering. Rourke,J. P. (John) and Lincoln, T. (Thalia) 1982. Mimetes. An Illustrated Account of Mimetes Salisbury and Orothamnus Pappe Two Notable Cape Genera of the Proteaceae. 1st. Ed.